For the last seventeen years, Mary Harrison and other members of The Teapot have been meeting every Friday at 10.30 am for one hour at Kenilworth Youth and Community Centre. 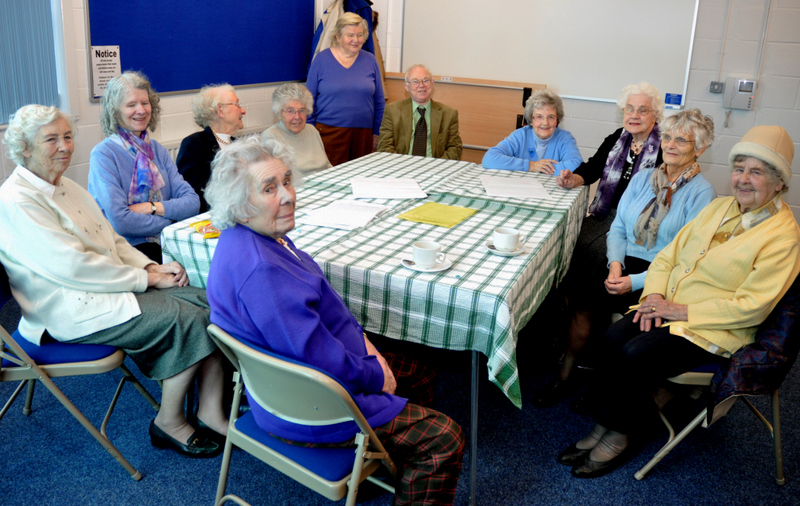 Their aim is to provide a meeting place for the elder residents of Kenilworth to make some new friends and enjoy a cuppa. Once a month, members of The Teapot are taken my minibus to a mystery lunch in a Warwickshire pub. What is fascinating is the collection of fifteen notebooks that have catalogued each Friday meeting over the past seventeen years. There is a list of each member name, comments, details of tea, coffee, Bovril and maybe who won the weekly raffle. But, founding member Mary is acutely aware about the Youth Service cuts and how badly funding is needed in this community to keep such a valuable group like The Teapot open and able to see it's 20th Anniversary in a few years time. Mary Harrison and The Teapot need all the publicity they can get when such difficult financial times are facing us all. There are many other groups that use the Youth and Community Centre that have not been mentioned so in the past weeks. For example, some of this diverse range include: Whitemans Dance Group, St John Ambulance, Watermelon Dance Studio, Yoga and Pilates Classes, Over 50s Keep Fit, Karate and the React Kidz Academy. There is also the opportunity to book a room at the KY&CC for children's parties, business meetings and just about anything you can think of. That's why the centre already has over 800 members.